Are the new parents big fans of college sports? Then our Sports Stork will be perfect for them! The six-foot PVC stork stands in their yard for seven days. At the end of the rental, we leave the personalized baby bundle at their door as a keepsake! 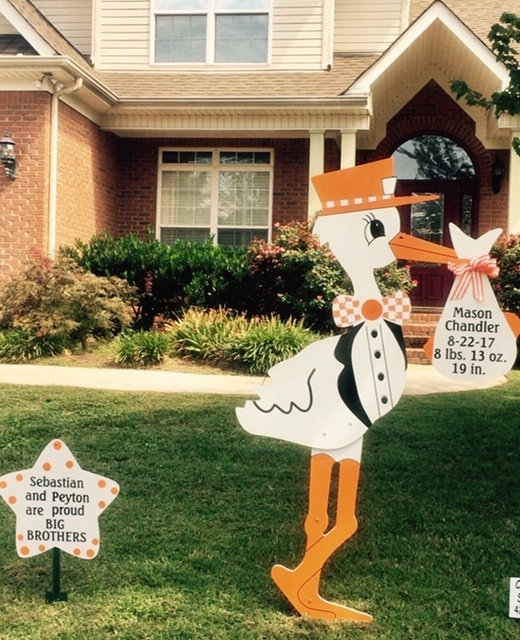 Choose a stork in TN orange, or a stork in GA red. Others available upon request.